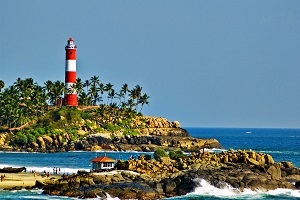 Stunning South India welcomes you to explore her fascinating glories. South India is a holy land of dizzying variety of cultures, languages, ethnic groups, beliefs and lifestyles that very few countries or continent possess. The itineraries of South India Tour Packages will take you a journey to explore 5 states that geographically form South India are Goa, Karnataka, Andhra Pradesh, Tamil Nadu and Kerala. Goa, small and vibrant state is exclusively for beaches throughout, with each holding different vibes. Karnataka, the state with all themes of attraction which is holding prestigious UNESCO heritage monuments in the race to gets the credit. Andhra Pradesh, state of intermittent attractions where Tirupati is one high octane spiritual centre foretelling the face of the state. Tamil Nadu, the land of giant temples. 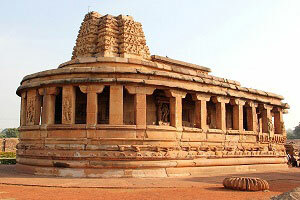 Not only for its mythology, all the temples are equally marvellous in architecture. Last not but not least is the Kerala state. This tiny strip of land is home to Ayurveda of infinite time, alluring backwaters, hazy hill stations, cultural festivals. South India Tours and Travels offers you an exclusive tour packages with tailor made itineraries, comfortable stay and safe journey with professional chauffeurs to experience this blessed country which draws the attention of the travellers and pilgrims who look up for a perfect holiday vacation in India. Trichy - 620006, Tamil Nadu, India.